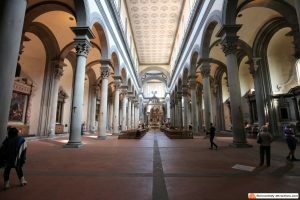 The Basilica di Santo Spirito is one of the greatest off-the-beaten-path attractions in Florence. In the 13th century, when Florence Italy was quickly becoming the largest town in Europe, many groups of monks and friars reached the city, founding their communities and their monasteries. The Augustinian friars established themselves in the Oltrarno district, on the South side of the river Arno, founding the convent of Santo Spirito. 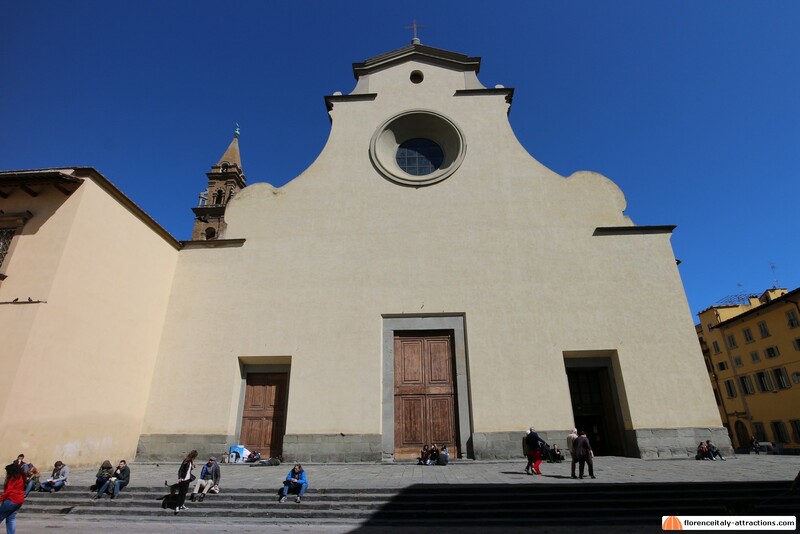 In the 14th century, Santo Spirito became an important cultural center with a rich library. Poets like Francesco Petrarca, considered one of the fathers of the Humanism, and Giovanni Boccaccio, spent time in the convent to study. In the early 15th century, with the Renaissance knocking at the door, the Republic of Florence allocated some money to build a new Basilica. The project to rebuild the Basilica di Santo Spirito was assigned to Filippo Brunelleschi in 1434. That was the time when Brunelleschi’s fame was at his highest point, as he was about to finish the dome of the Cathedral. Works started only in 1444 and after Brunelleschi’s death in 1446, the director became his pupil Antonio Manetti. We don’t know how many modifications were made to the original design: Brunelleschi’s project was respected in his general lines, but some elements were modified. The new Basilica was consecrated in 1481, but it was finished only in 1487. Unfortunately, during the construction, fire destroyed the library and many of the works of art that decorated the private chapels. That’s why, if you go into Santo Spirito today, you will only find works made after that event, with few exceptions. Moreover, many families didn’t spend as much to decorate their chapels again, so they opted for works by minor artists. Outside, the Basilica di Santo Spirito doesn’t look very attractive, as no decorated facade was added to the church. When inside, though, you will discover how the architect designed a “perspective box”, with all the vanishing lines converging to the main altar. Lines that can be seen in the cornices of the sober decoration but also on the floor, like for other buildings designed by Brunelleschi. Although not as rich as other churches in Florence Italy, the Basilica di Santo Spirito contains some fine works: most notably the Pala Nerli (an altarpiece by Filippino Lippi) and the Santo Spirito crucifix attributed to Michelangelo Buonarroti, who found a friendly environment here while studying the human anatomy (the Augustinian friars allowed him to dissect corpses) and left the crucifix as a sign of gratitude. We know that Michelangelo was a guest at the convent of Santo Spirito at the age of seventeen, after the death of Lorenzo the Magnificent in 1492. In 1964, Margrit Lisner, searching for crucifixes to make a list, found it, in the cloister of the convent, altered by a repaint. 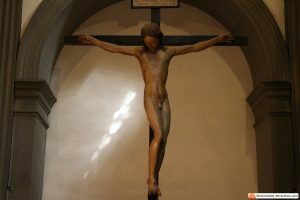 After restoration, the work has been linked to the crucifix by Michelangelo, also because the ancient sources describe it as smaller than normal, which actually is the case for this work.